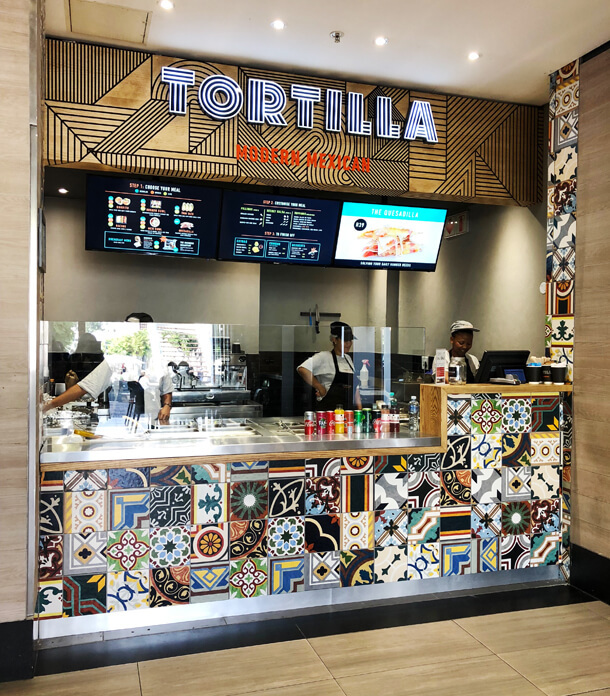 I love Mexican food so I was really stoked to find a Tortilla Modern Mexican had opened at V&A Waterfront in the food court. They’ve been around for a while but for some reason I’ve never tried them. The one time I found them at the Mojo Market and I got excited cos I was craving nachos. And they had just run out. I could have cried…. So when I found them at the V&A and at lunch time no less, my stomach naturally dragged me over. I needed something that would be easy to eat on the go as I was rushing between meetings that day. I decided on the soft shell tacos. 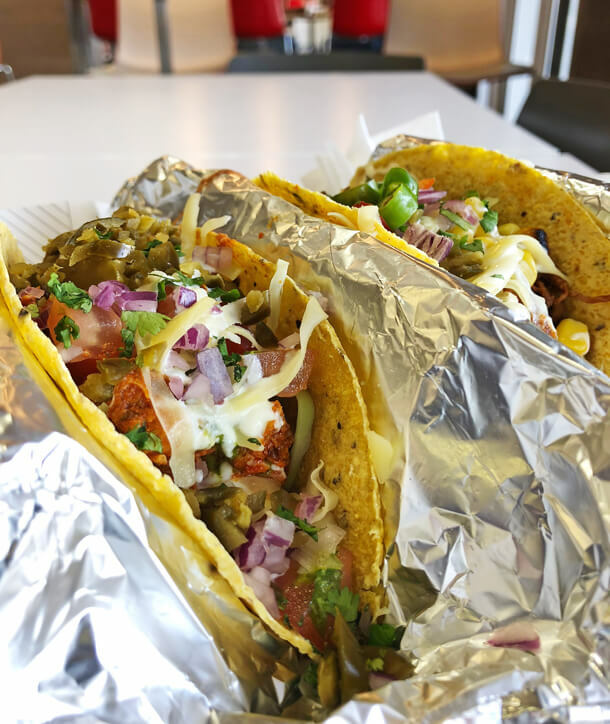 You get 2 of these with a choice of chicken, beef or vegetarian fillings with a range of additional toppings including cheese and sour cream. Only the guacamole was extra at R10. These 2 cost R55 and I thought they were great value for the price. The flavour on both were excellent and I scoffed one of them in the car one handed on the way to my next meeting. Had this been a hard shell taco I’m sure the job would have been so much more difficult. I really liked the visual impact of their small kiosk. The design is funky, quirky and modern. You can find a bigger setup in the Mojo Market and they also have a branch in the Icon Building in lower Long street in the CBD. I am over the moon that they are now in the waterfront because I’ve been a loyal customer since they opened their 1st branch in Cape town. Halal Mexican food is hard to find & they sure have very flavorful food which I enjoy so much.